The Twilight Zone’s 2019 return revels in the horror of the original show’s weird, sci-fi fiction, but remains keenly optimistic. In the first episode, “The Comedian” — which is available for free on YouTube and Amazon Prime Video — the peril of a comic given the power to eliminate his subjects doesn’t end in a massacre. The show carefully keeps the frame on actor Kumail Nanjiana as he pulls laughs out of the night club audience at the expense of his friends and family, knowing that the next morning they will disappear. It’s not about the power of one man; it’s about the destruction of one man. The sympathy is shifted to the people that suffer around him instead of the sick fantasy that such an ability might entail. Starved of easy thrills like the early episodes of Westworld where mindless killing in a man-made sandbox is offered as an understandable morality, “The Comedian” holds onto what’s right. Fame isn’t a replacement for having friends and relationships, no matter how exciting it is to achieve it. The main character can’t make biting, political jokes work and gives in to the temptation to use people as the punch line. 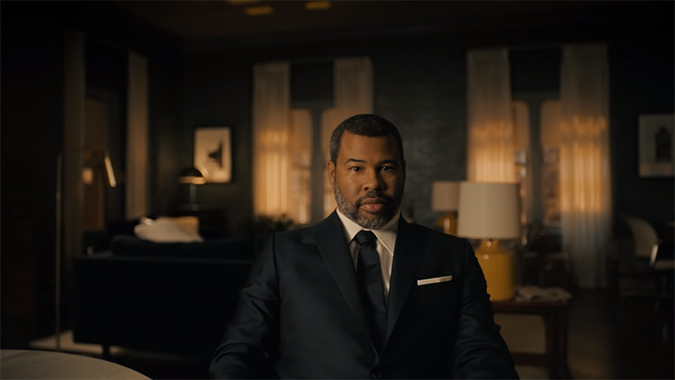 No matter how admirable his goals are, The Twilight Zone draws a line and keeps its point-of-view in focus — a trait many would attribute to show director Jordan Peele’s previous work. But the humanity isn’t only in the concept. The director of the episode, Owen Harris, was responsible for two of Black Mirror’s most intense episodes “Be Right Back” and “San Junipero”. Harris can see through the harrowing faux-realities of these types of shows and target what’s tangible, to make what matters last. Harris only obfuscates the message with fiction until the perfect moment. “The Comedian” doesn’t take an impossible situation to its most tragic extremes, it takes the impossible into its most damning extremes. It’s an episode that argues for people being better than themselves despite unreal circumstances. It’s critical of people for people and is an incredible argument for why we need The Twilight Zone in 2019.